You might have heard of an app called Amino. 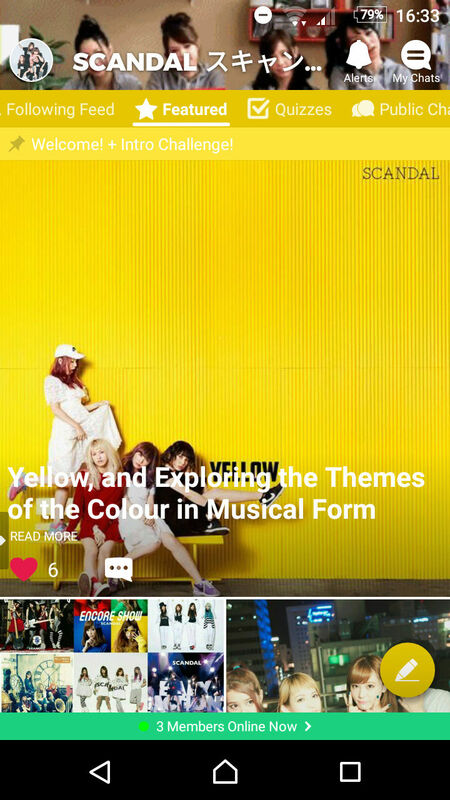 If not, it's an app where you can join certain communities, be it Anime, J-Pop, Cartoons etc. there is a community for everything nowadays! You can make blogs, share info, and talk to people. It's essentially another social media, but for fandoms. 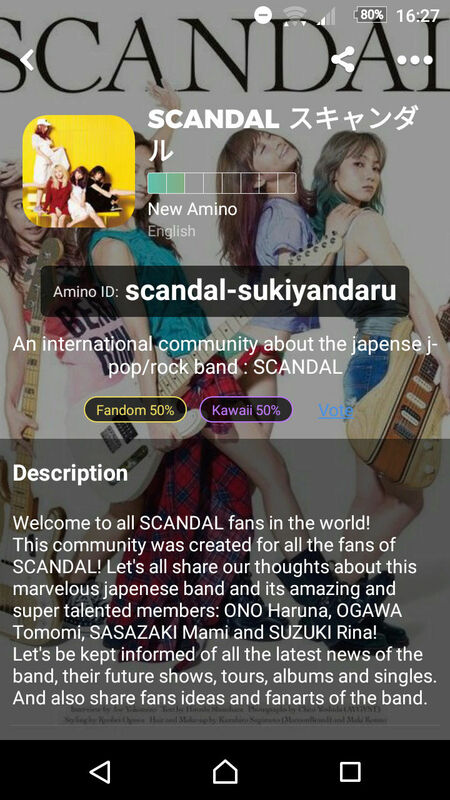 Well, I'm here because I am one of the leaders of SCANDAL Amino, and I'm trying to grow it. Currently there are just under 100 members there, but not everyone is active. I commonly post blogs there, and there's a community chat where we all nerd out about the band too! If you want to join and connect with even more SCANDAL fans, then all you need to do is download the Amino app and search for SCANDAL. The app is on Android and iOS, and you'll find it easily in the app stores. Thank you for reading, and I hope that some of you are willing to join! I will answer any questions that you have, so don't hesitate in asking.